Hostas are very tolerant and forgiving plants and will grow in almost all conditions and locations in your garden. Most hosta varieties however prefer to grown in shady conditions, thriving when planted beneath trees and shrubs. Hostas will happily grow in these conditions which are not suitable for many other varieties of garden plants. Hostas will happily grow in heavier clay based soils which has been enriched with leaf-mould and other composting materials. If you which to display your hostas in pots or planters it is recommended that a low-lime free draining compost be used. Hostas planted in any form of container will require regular watering during dry sunny spells. Hostas however do not like having their roots continually sitting in water; it is recommended that any container used has good drainage holes to allow excess water to drain clear. Everyone knows that hostas are susceptible to attack by slugs and snails, but with good garden maintenance and care, these pests can be easily controlled allowing your plants to grow happily in your garden. Slugs and snails are always associated with hostas. If unchecked they can cause untold damage to our prize winning plants. But there are many ways of reducing their presence in our gardens, allowing our hostas to bring us pleasure throughout their growing season. Garden husbandry. The number of slugs and snails can be greatly reduced in your garden by good husbandry practices. By keeping your garden tidy, removing dead vegetation and any unwanted materials will reduce the areas where slugs and snails can hide from the sun and warmth of the day. It will also reduce the number of areas where slugs and snails can hibernate during the winter. Natural predators. Song thrushes, hedgehogs and toads all love to eat slugs and snails. 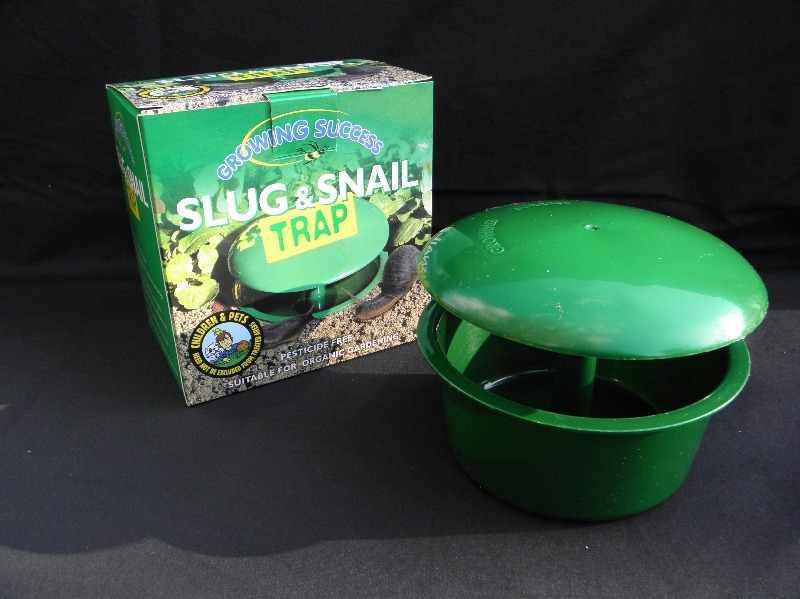 By encouraging these natural predators to your garden you will help reduce the presence of slugs and snails. Chemical. The use of proprietary slug and snail pellets containing metaldehyde are recommended by most hosta specialists. Regular applications of a small number of pellets around each hosta plant throughout the growing season should be made. If you love your hostas, you should apply the first application as early as the 14th February, St. Valentine’s day. The pellets contain only a very small amount of metaldehyde which is not harmful to birds, wild animals and pets. The pellets are blue in colour because birds and animals do not associate this colour with food. Gel. A gel slug and snail repellent can be applied around hosta plants. Apply an uninterrupted line of gel 3-5mm wide and 10-20cm around each plant. 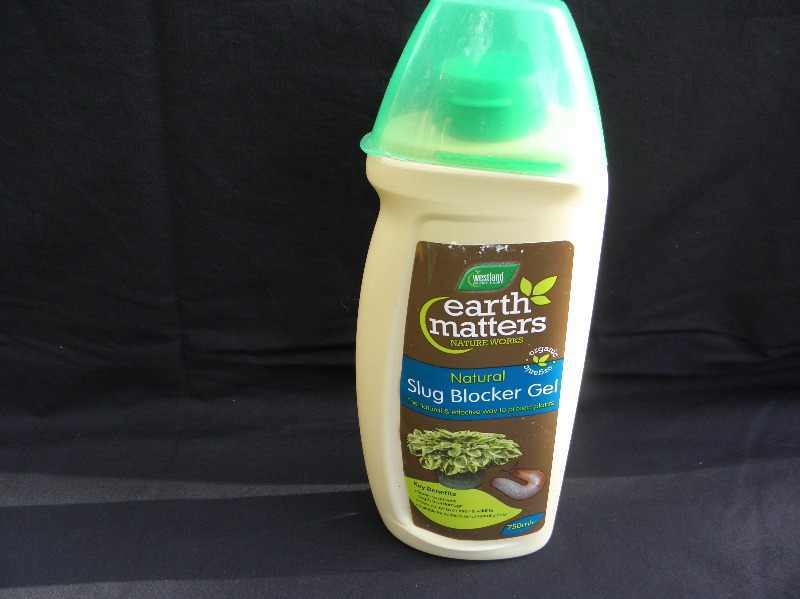 Ensure that all slugs and snails have first been removed that are already present. This method of pest control can be used for both ornamental and edible plants. This natural preventative approach poses no threat to children or wildlife.Liquid concentrate. Proprietary brands of a water concentrate can be also be used. The concentrate solution is mixed and watered onto the leaves of the hosta plants and surrounding soil. The applications should be made in mild damp weather. This method of pest control must not be applied to edible plants. Nematodes. This is a biological control against slugs and snails. Nematodes are mixed with water and applied to the ground surrounding your hosta plants. They are digested by the slugs and snails which cause them to die within two weeks. This treatment should be applied several times during the growing season. This treatment can be very successful but currently is expensive. Slug traps. Jam jars or proprietary slug traps can be placed in the ground near to your hosta plants. They should be sunk into the ground so that the lips of the containers are at ground level. The traps are partially filled with stale beer or a sugar solution. Slugs and snails are attracted to the sweet liquids and are drowned. Wet newspapers. Dampened newspapers can be placed in the evening near to your hosta plants. Slugs and snails will be attracted to the under surface of the newspaper which can be removed the following day. Garlic Water. This is developing into a very popular slug and snail repellent. Garlic cloves are boiled in a saucepan of water for 20 minutes. The cloves are removed and the water allowed too cool. 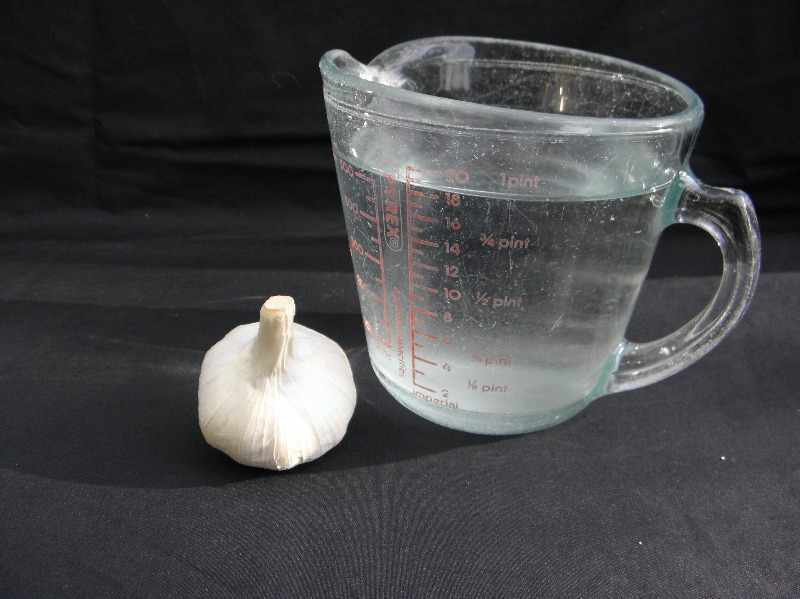 The garlic water is diluted at a ratio of 1 part garlic water solution to 10 parts water in a watering can. The water mixture is then watered onto the leaves of your hostas. On hot sunny days apply the water solution in the evening so that the leaves of you plants are not scorched. Copper bands. These can be fitted to plant pots and containers. The bands form a barrier which slugs and snails will not cross. Salt can be sprinkled on to the slugs and snails causing them to dry out. Vaseline / WD 40. 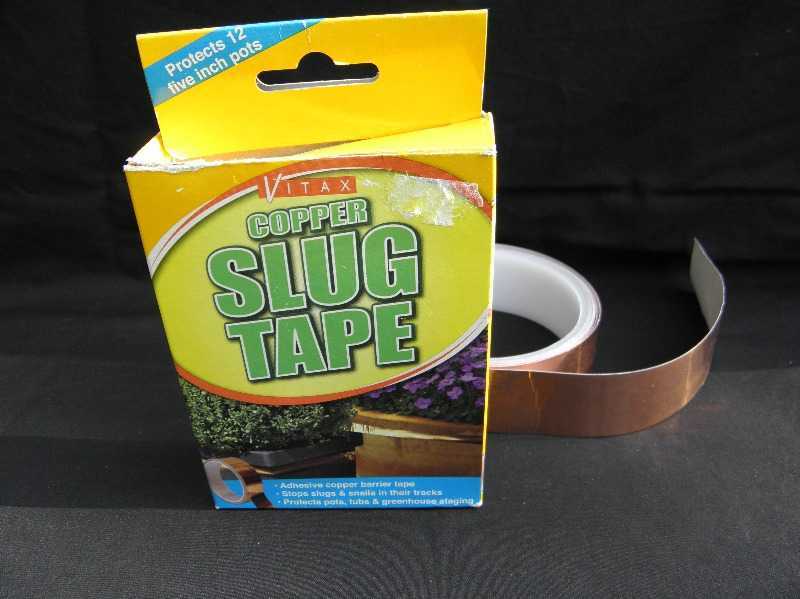 These materials can be applied to your pots and containers which again create a barrier against slugs and snails. During the growing season remove any leaves which come in to contact with the lip of the pot or container. These leaves act as a bridge reducing the effectiveness of the repellents. Bark or stone chippings / sharp grit. Slugs and snails find it very difficult to traverse uneven surfaces. Applications of any materials which are rough in texture around your hosta plants will reduce the presence of slugs and snails.Wool / hair. These natural materials are unattractive to slugs and snails. 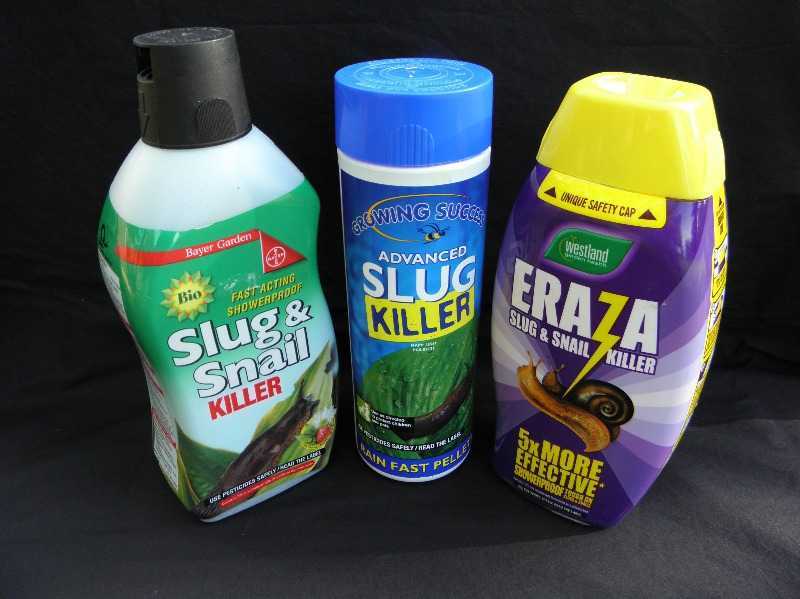 Applications of these materials will reduce the presence of slugs and snails. Vine weevils. Adult vine weevils will cause damage by chewing irregular edges to hosta leaves. However the greatest damage is caused by their larvae. The larvae feed on the crown of the hosta plant and its roots resulting in yellowing of the foliage and wilting of the leaves. The larvae can be treated by using recommended chemical pesticides. Cutworms. These are large grey or brown bodied grubs. The grub causes damage to the hosta plant by feeding on the buds and leaves. Cutworms can be treated by the application of a recommended pesticide. Viral Infection (Hosta Viral X). Hosta Viral X and other viral infections are becoming more common, especially in bare root plants. Viral infections can be passed on from deceased plants to healthy ones when dividing plants. Care should be taken to keep both tools and hands clean when dividing plants. Regularly wash your hands and clean your garden tools with soapy water. Infected plants should be burnt or disposed of immediately. Rodents. Mice will eat emerging soft shoots in the spring causing damage to the new leaves. Voles will mainly eat the soft roots of hosta plants. If this becomes a major issue, controls can be introduced with the use of traps and baits. Always follow the guidelines advised by the manufacturers of these products.